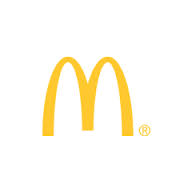 After facing declining sales for the past several months, McDonald’s Corporation (NYSE:MCD), the world’s largest fast-food chain, is all set to adapt to the changing customer taste. The latest reformations from the restaurant chain include more emphasis on the ‘lovin’ part of its ‘I’m Lovin’ It’ campaign. This is the right time for the company to take some hard steps considering the fact that the company lost 2.3 percent of its domestic same-store sales in 2014. The dropping sales figures have triggered several management steps including change in the menu and feature to allow customers to make their burger. McDonald’s Corporation (NYSE:MCD) latest campaign, Create Your Taste, will allow customers to put together their own burger and the campaign is rolling out of the U.S. stores. At the same time, after its suppliers scandal in China, the company has initiated ‘Our Food, Your Questions’ Campaign under which, McDonald’s Corporation (NYSE:MCD) has answered over 20,000 questions. In addition to it, the company is answering parents’ concern for healthier food in kids’ menu with the inclusion of Cuties Clementine in kids’ menu.